Behind The Scenes: Custom Art in Miami - How We Created Custom Canvas Art for Our Clients! Recently our client wanted a specific type of artwork design, but was unable to find it. As well, any art they found was way too expensive for their budget. 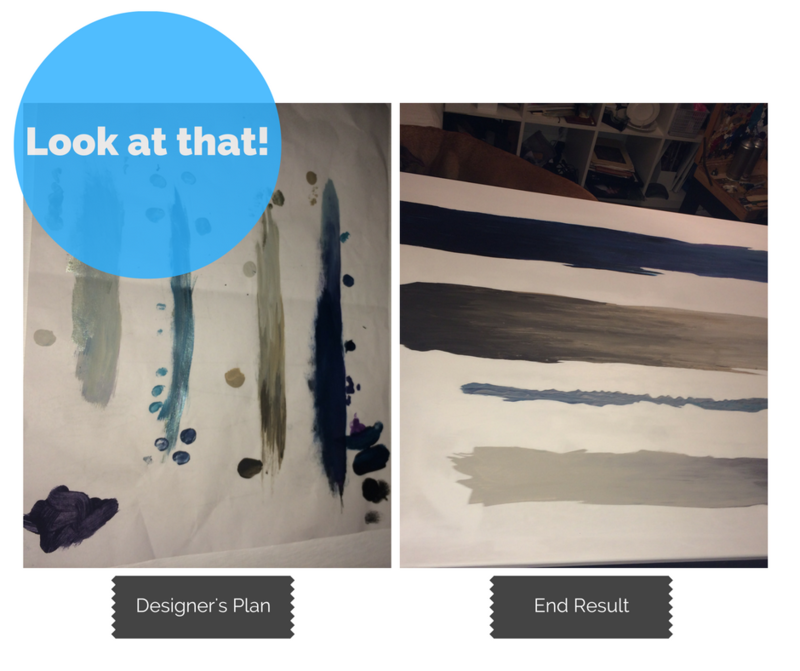 Our designer Sara Tayte paired up with a local artist, and created a fun design herself alongside her client using smears of paint colors and a piece of printer paper. This simple design was given to the local artist, and a custom, affordable piece of custom art in miami was created quickly and beautifully! It was exactly what the client wanted, and looked expensive and custom, all for under his initial budget! Ahhhh... modern chairs. The staple of great design, the consistent pieces in a design world that's abundant with change. With all the replicas out there, how do you know where to find the best modern chairs online? We have helped take the guess work out of your hunt, and brought you 12 selections of our favorite chairs.